The Twin Chair + Ottoman is our smallest frame available, and becomes the size of a twin bed. 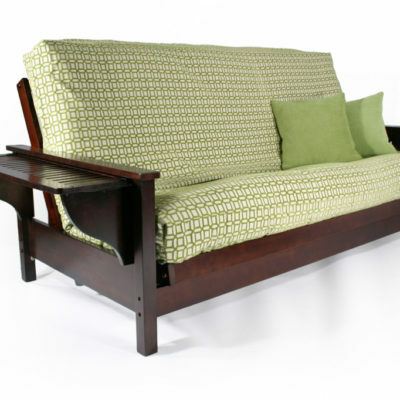 This two-piece frame comes with it’s own stow-away ottoman, with folding legs for easy storage! 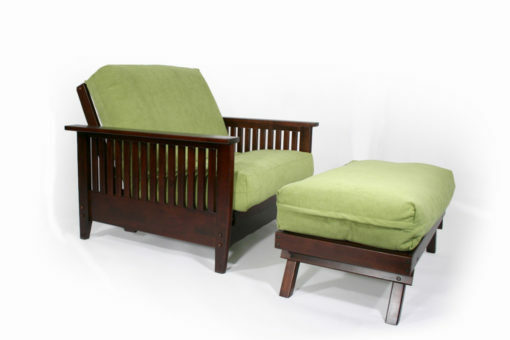 When used together, the twin chair and ottoman convert to a twin size bed. 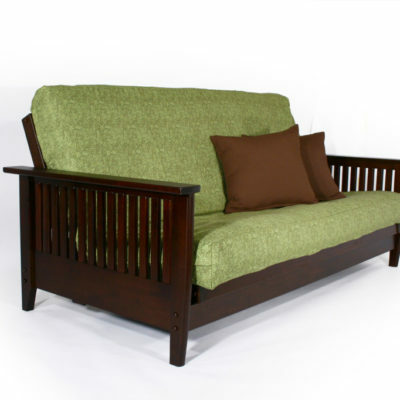 This collection is crafted from quality imported hardwood. 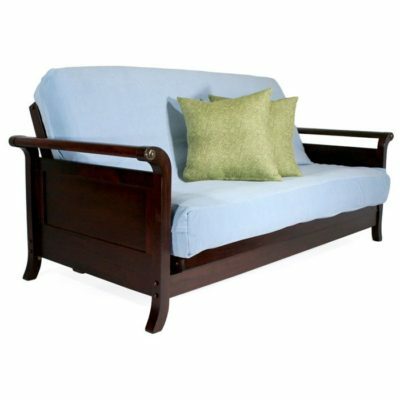 The frame is part of our Carriage Collection and comes in our Warm Cherry or Dark Cherry finish. The Denali, like all Strata frames, utilizes our Wall Hugger™ technology. The slats are slightly rounded giving this frame a strong yet elegant look. The Denali is available in five sizes: Full, Queen, Twin Chair + Ottoman, Full Loveseat + Ottoman, and Queen Loveseat + Ottoman. To learn more about our size choices, visit our Dimensions page.